Nathan’s stories are featured in several publications of Dark Fiction, Crime, Horror, and Erotica—most of which are linked below. Nathan’s story “Dog Killer” was named among the Top 4 Finalists of the Writer’s Digest 8th Annual Popular Fiction Awards for the Crime category. 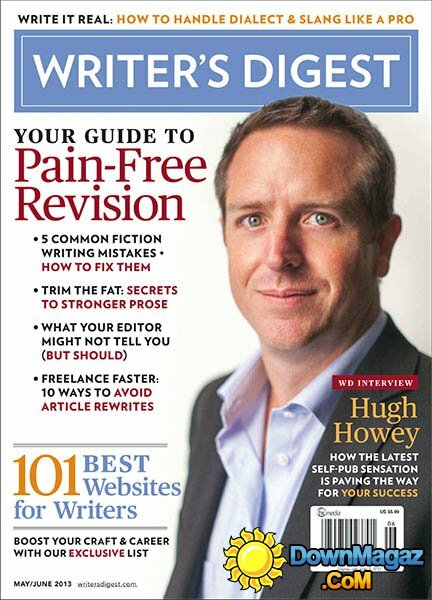 More details and winners can be found in the May/June 2013 issue of Writer’s Digest. “Winners were chosen from 2,300 entries and represent the very best in genre fiction”—Writer’s Digest. “Dog Killer” is featured in State of Horror: Louisiana Volume Two—available in Paperback and Digital through Amazon, Barnes&Noble, the Apple iBookstore, and Kobo from Charon Coin Press. THE RED TIE is featured in Stoneboat 7.2 (Spring 2017) “Beyond Red and Blue: Voices for America“—a special issue of the literary journal dealing with the current political divide in our country. THE RED TIE is a modern-day fiction tale, in which a young man loses the trust of his mother over political and social differences. More on the contributors here. DINNER WITH DANIEL COLETTI is featured in the NASTY anthology from Anna Yeatts and Chris Phillips of FLASH FICTION ONLINE—Available Now in Digital and Paperback and also on iTunes with Bonus Conent. The Fetish Fights Back! NASTY is spotlighted in a politically-charged article at Rolling Stone. THE FAREWELL QUARTER appears in the Night in New Orleans anthology from FunDead Publications. (From FunDead): New Orleans– Night in New Orleans: Bizarre Beats from the Big Easy is a collection of spooky short stories set in The Crescent City. The book features nineteen authors, and includes writers both near and far. Respect the dead. Lesson learned when a disturbed young man deals with his father’s death in a severe and public manner. One of Nathan’s popular Roland tales, “Wakey Wake” appears in Thuglit Issue Three (Vol. 2)—Available Now through Amazon in Paperback and Kindle. 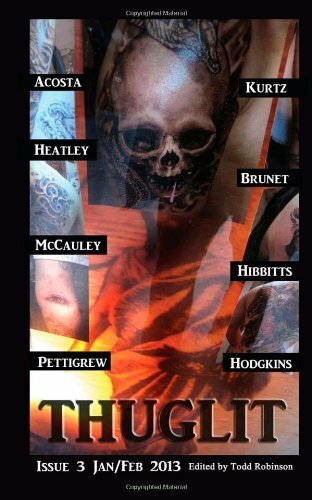 13 New Crime Tales—includes “Krewe of Bayou Black,” in which a young thief comes to see that he doesn’t know the true faces behind the masks of those closest to him. Anything Goes When It’s Mardi Gras! Paperback Edition Available Here. Kindle Edition Also Available Here. One of Nathan’s deadliest stories, which DarkMedia called one of their “most popular pieces of original horror fiction to date” on Twitter. Follows Two Best Friends. One Dead Body. And New Found Strength. Readers can find “Cajun Coyote” here in the May 2013 edition of Bête Noire from Dark Opus Press—a Top-Notch and Beautifully Bound Magazine otherwise known as Bête Noire Issue #11. Bête Noire brings you the best in dark fiction—the perfect read for fans of both Crime Fiction and Horror. 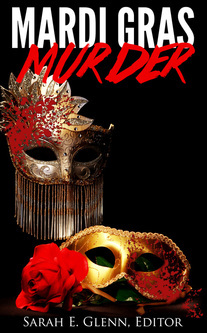 A young man has committed murder and goes to say goodbye to his ex-girlfriend before fleeing town. “Life and Death…” appears in the controversial Surreal Grotesque #4 and follows the events of “Roland The Conqueror” from DarkMedia. Drink. Drink. Drink. Because for some people, too much is never enough. Fresh out of the LitReactor Workshop when the author was cutting teeth comes a brutal and bleak story about an addict realizing his new life purpose when faced with losing all. Other publications include the First Featured Story at We Are Vespertine—which was the Lit Mag portion of the Official Website for authors Brandon Tietz and Michael Sonbert in 2011, and a Guest Spot here at Solarcide before being invited to become a permanent resident. Nathan was born and raised near New Orleans and lives with his fiancée Lamia, their Rat Terrier Brody, and their pet rabbits Milky and Lola in the Tampa Bay area, where they like to kick back and enjoy the good life, the chicken wings, and AMC’s Better Call Saul. Follow Nathan on Twitter @NathanBorn2010, or find him on facebook.